Education Program, Angela Robinson. Angela has previously served as the Director of the Early Childhood Care and Education Child Development Demonstration Center at Albany Tech. A native of Bainbridge, Georgia, Angela has worked with Albany Tech for several years. She was initially hired as the Program Chair for the Early Childhood Care and Education program and has also served as the Director of the Early Childhood Care and Education Child Development Demonstration Center. 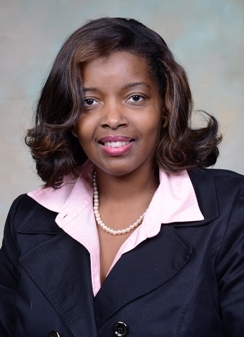 She came to Albany Tech from the Sumter County School System, where was served as a teacher for 17 years, teaching kindergarten for 12 years and science in kindergarten through second grade for five years. She also served as an adjunct instructor with South Georgia Technical College. Southwestern State University and a Specialist of Education degree from Troy State University. She is the daughter of Ms. Jacquelyn Robinson and the late Mr. Harry Handsford. 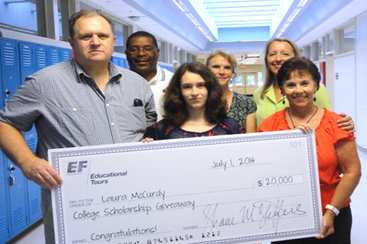 Westover Comprehensive High School student, Lora McCurdy, recently won a drawing for a $20,000 educational travel scholarship from Education First. Lora is a Spanish student at Westover and will use the scholarship to participate in the Spanish Department’s 2015 summer program in Costa Rica. Education First (EF) is an international education company that specializes in language training, educational travel, academic degree programs, and cultural exchange. EF partners with educators across the world to create global education programs that blend classroom, digital, and experiential learning for students. Lora’s future plans include attending Darton State College or the United States Naval Academy. 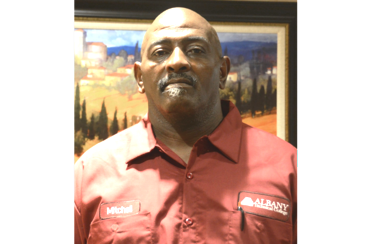 Mitchell “Mitch” Scott, grounds maintenance keeper in the Campus Operations department at Albany Tech, was named the 2014 Albany Tech Employee of the Year at a recent faculty/staff luncheon. Mitch has been a consistent face of the facilities and maintenance crew of Albany Tech since the summer of 2000. Although he is listed as the grounds maintenance keeper, he does much more for the campus than simply maintaining the grounds. Being known as one of the hardest working individuals on the campus, Mitch can be counted on to do much more than maintain grounds. Without being prompted to do so, Mitch is always the first among his peers to roll up his sleeves and pitch in for jobs outside of campus operations. He’s a self-starter who is willing to help out wherever he is needed on campus. Montgomery, Alabama- Albany State University and its quarterback, Frank Rivers, headline the Southern Intercollegiate Athletic Conference 2014 Preseason Teams. 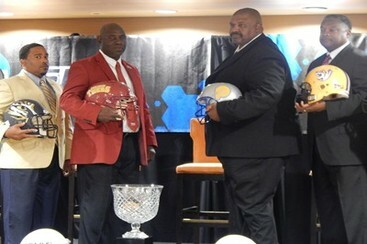 The conference made the announcement during the 2014 SIAC Football Media Day and Luncheon. In a vote by the league football head coaches, the Golden Rams were chosen to win the 2014 SIAC Championship. Rivers collected SIAC Preseason Offensive Player of the Year honors. For the predicted order to finish, in addition to receiving the most votes from the East Division, ASU, the defending league champion, was selected to repeat. The Golden Rams received 23 points and all available first-place votes from the East Division poll, including 111 points in the overall ranking. Fort Valley State garnered 21 points with two first-place votes, followed by Benedict (12), Morehouse (11), Clark Atlanta (8), and Paine (7). 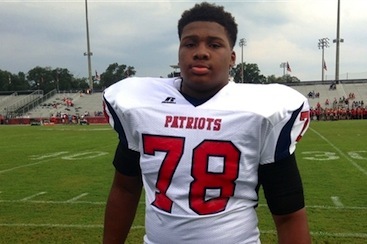 Westover Comprehensive High School Senior, Trenton Thompson is the nation’s No. 1 rated football recruit for the Class of 2015, according to ESPN. The 6-foot-3, 300 pound defensive lineman has received thousands of letters from schools all over the country including top schools such as University of Georgia, Florida State University, University of Southern California, University of Notre Dame and Harvard University. Good luck, Trenton! You’ve worked hard and we are proud of you! But no worries, Westover fans! Although Trenton is weighing his future college plans, he is still determined to improve upon Westover’s winning 9-3 season and Region 1-AAAA Championship during this upcoming football season. Go Westover Patriots! Darton State College announced that it has received notification from the Southern Association of Colleges and Schools Commission on Colleges (SACSCOC) reaffirming the institution’s accreditation for another 10 years. 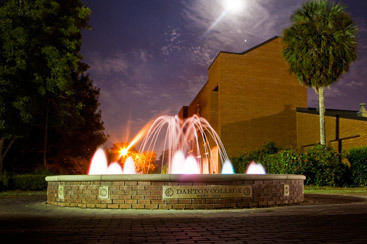 Since 1966, Darton State College has been a leader in providing quality educational opportunities and services to Southwest Georgia. Darton offers a variety of programs, including a bachelor’s degree in nursing, 54 transfer program options, and 41 career program options and certificates. Darton State College, a public institution, is part of the University System of Georgia and accredited by the Southern Association of Colleges and Schools Commission on Colleges. Congrats Darton! Here’s to another ten years and beyond! 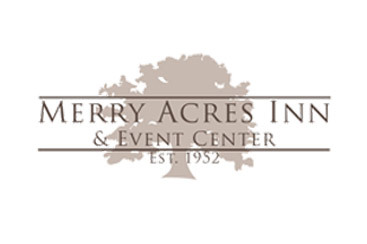 Merry Acres Inn and Event Center was named one of the “Top 100 Southern Hospitality Hotels for Groups” for 2014. ConventionSouth Magazine ranks hotels based on location, aesthetics, amenities and staff. Merry Acres is one of only ten Georgia hotels earning this distinction. Congrats Merry Acres! You make Albany proud!